With both Hyundai and DTI’s motions to dismiss each other’s lawsuits having been denied, a North Carolina federal judge last fall set a timeline for trial in the OEM’s complaint and the importer’s subsequent countersuit. The case is noteworthy as the collision industry and parties in California examine what to call purportedly OEM parts sold outside of the official OEM-dealer supply chain. Western District of North Carolina Magistrate Judge David Cayer on Nov. 1, 2018, ordered both sides to be ready June 15, 2020, for a trial scheduled for two weeks. Hyundai in 2017 sued Direct Technologies International, alleging trademark infringement and dilution, two counts of false designation of origin, unfair competition, interference with contractual relations, and violating the North Carolina Unfair and Deceptive Trade Practices Act. DTI denied Hyundai’s allegations and countersued, alleging counts of illegal restraint of trade, illegal monopoly, exclusive dealing, false advertising and unfair competition at the federal level, and unfair competition under North Carolina statute and common law. Part of its case keyed off of a Hyundai warranty message referencing parts that drew a warning from the Federal Trade Commission. Hyundai in turn denied those accusations. “This ‘limited warranty’ that DTI offers is not the equivalent of the Hyundai warranty, and Hyundai is informed and believes and thereon alleges that DTI, through its actions, advertisements, and representations, creates an impression that the Hyundai parts it is offering for sale are Genuine Hyundai Parts, covered by Hyundai’s warranties, which creates a likelihood of confusion among Hyundai’s Dealers and others, including the general public, regarding the source of DTI’s parts and the applicability of Hyundai’s warranties to those parts,” Hyundai wrote. Hyundai said its own replacement parts warranty runs for 12 months or 12,000 miles but is potentially extended to the full 5 years or 60,000 miles of a new car’s warranty. Hyundai, which doesn’t have an official Opt-OE program, said in the lawsuit won’t warranty anything imported from outside the U.S. at all, even if it’s a Hyundai part. “Parts manufactured for sale and/or intended for use solely outside of the United States, on the other hand, carry no warranty whatsoever from HMA in the United States,” Hyundai wrote in the lawsuit. “In addition, any damage to or failure of a Hyundai vehicle caused by the installation or failure of a Non-Genuine Hyundai Part is not and would not be covered by any Hyundai warranty. This is an important point for collision repairers, insurers, consumers and regulators to understand. 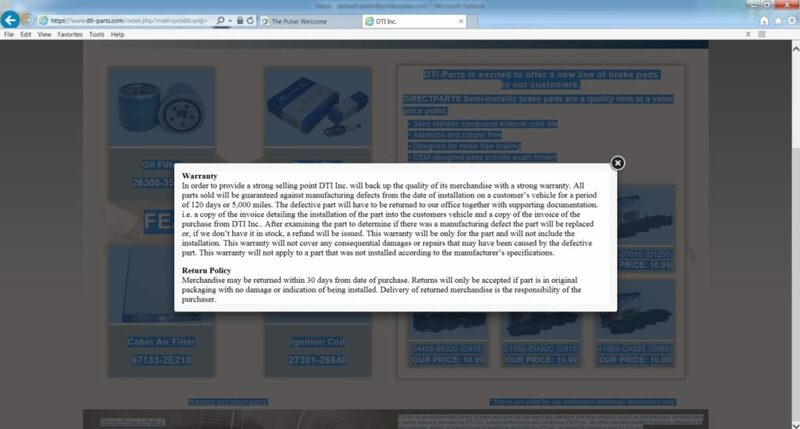 If what some would argue still would count as a new OEM part wasn’t sourced through Hyundai’s “Authorized Chain of Distribution,” Hyundai says it won’t warranty it the way it would for a true new OEM part intended for sale in the U.S. and sold through the official channel. Nor will it have to cover anything that the “Non-Genuine Hyundai Part” affects should that part fail. Under the Magnusson-Moss Warranty Act, an OEM can’t void a vehicle warranty for the mere act of installing an alternative part, but it can void the warranty of another part damaged by the non-OEM component. DTI said that because of Hyundai’s dealer agreement “and/or because of Hyundai’s warranty representations,” Hyundai dealerships refused to buy from DTI. “As a result, DTI has lost sales and suffered economic, reputational, and other injuries,” the importer wrote. 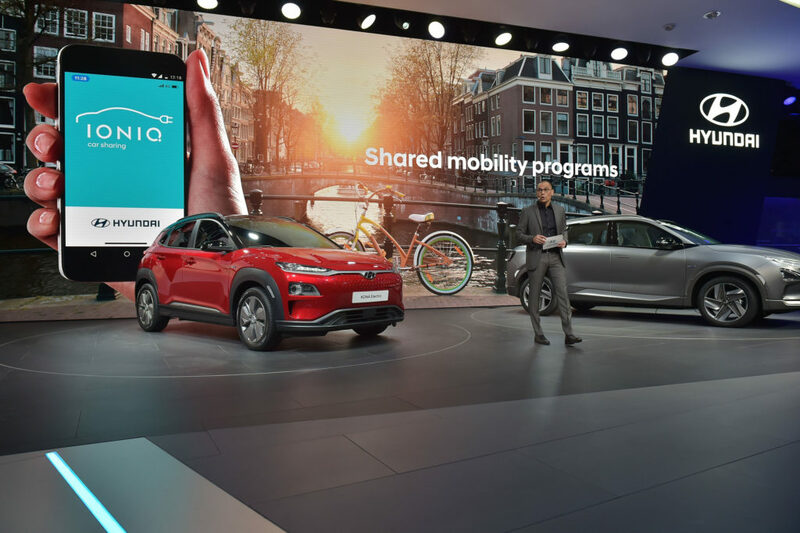 Hyundai in its answer said the FTC letter “purports to reference a nonspecified or identified statement by Hyundai.” However, the OEM earlier that year apologized for the statement and changed the language on the message in question, BodyShop Business reported. Genuine Hyundai Parts are made to precise specifications and must meet certain quality standards to be sold in the United States. That is not true for Hyundai-branded parts meant for sale in areas of the world outside the United States. Hyundai-branded parts that are not sourced through Hyundai’s authorized chain of distribution for the United States may contain numerous material differences – including, but not limited to, packaging, labels, production methods, weight, and performance characteristics – as a result of the difference in specifications to which such parts are manufactured or the actual manufacturing processes themselves, or because such parts are not “first run parts,” are “seconds,” or are defective or have been rejected during manufacturing quality control. Furthermore, Hyundai-branded parts that are sourced outside of Hyundai’s authorized chain of distribution for the United States are materially different in warranty coverage and/or protection and dealer and customer support. As such, the sale of those unauthorized Hyundai-branded parts in the United States constitutes sales of illegal grey-market goods. Hyundai alleged that around Sept. 28, 2017, a DTI sales rep pitched the importer’s Hyundai parts to a Hyundai dealership. DTI called itself the “‘premier importer of NEW OEM parts for the Korean manufacturers'” and said it knew about the dealership’s “‘franchise agreement,'” according to Hyundai. DTI alleged that Hyundai’s agreement with dealers “on the condition that the distributors or dealers refrain from purchasing Hyundai branded replacement parts for Hyundai automobiles which were intended by Hyundai for markets other than the United States,” and linking warranties to Hyundai parts was restraint of trade and an illegal monopoly. 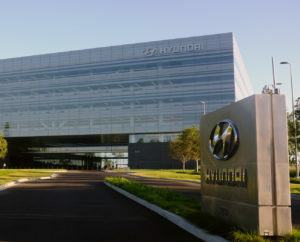 “Hyundai’s ability to coerce dealers into these exclusive-dealing arrangements or otherwise exclude competition for replacement parts for Hyundai automobiles is augmented by the fact that, if a third party service center cannot obtain access to parts identified by Hyundai as ‘genuine’, a third party parts installer cannot serve the needs of the purchasing public under Hyundai’s anticompetitive and illegal warranty,” DTI wrote.